I saw this great license plate in Mongkok while driving to work today. Yes I agree! SAVE TREE. The support for trees in Hong Kong is so important. 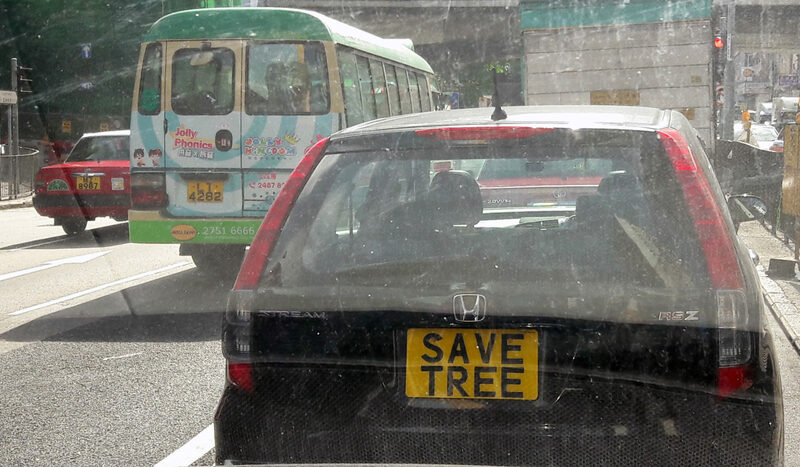 Thanks to those diligent members of the public for supporting the trees and environment of Hong Kong!